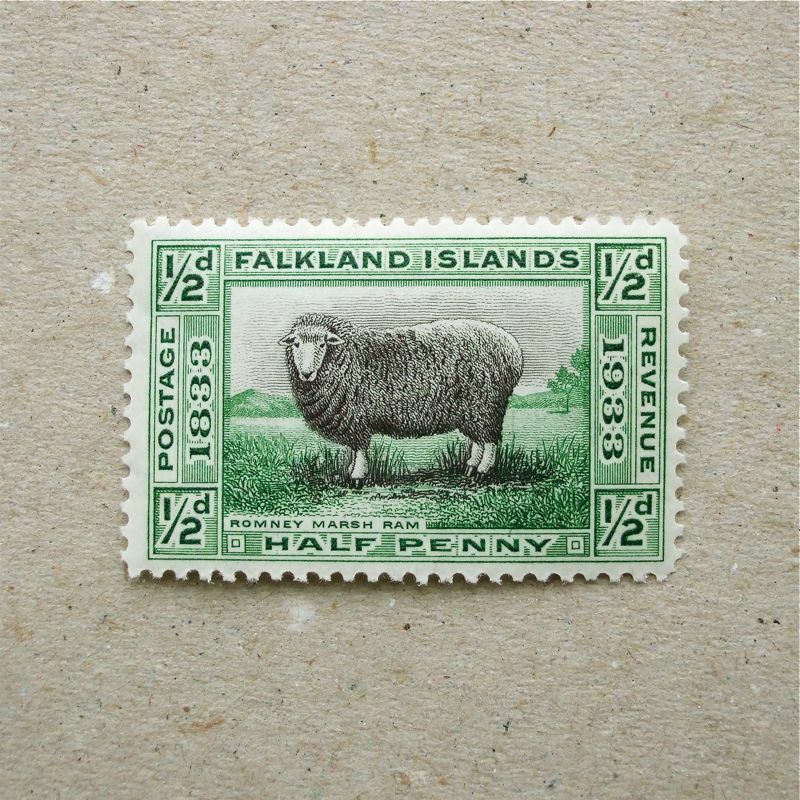 An ancestor of this hairy Ram has travelled a long distance from Scotland, about 70 years before this stamp was issued. The Falkland Islands, one of the British Overseas Territories, has a sheep in their flag and about 670,000 sheep live in those islands, where less than 3,000 people populate. 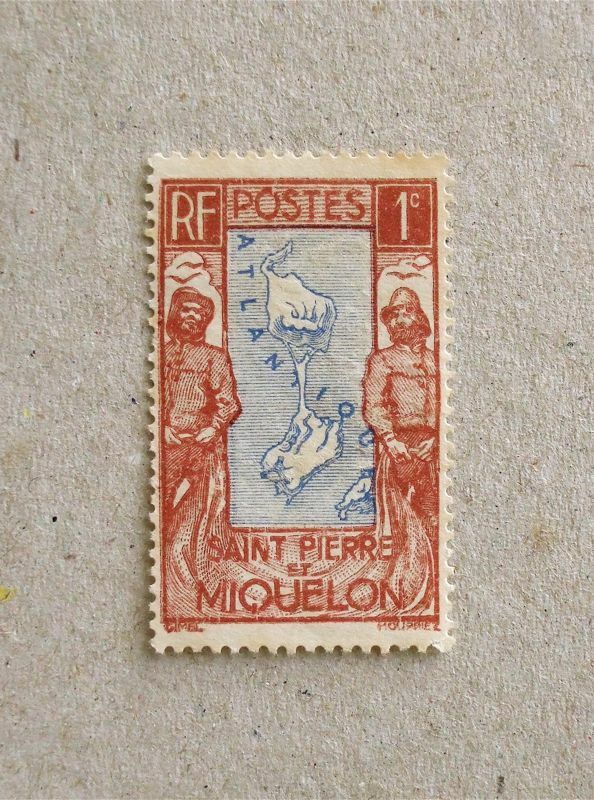 If you examine the enlarged map of previous post closely, you may find a little island near the south end of Newfoundland, carefully NOT hatched – this is the indication of these French islands at that time and still now, Saint Pierre and Miquelon. This is an important fishing area throughout history. I enjoy this type of map more than the previous one, as it is a little closer to human scale, together with pictured fishermen. This is a beautiful example of typography – somewhat naive carved lines if you compare them to sharp intaglio prints. 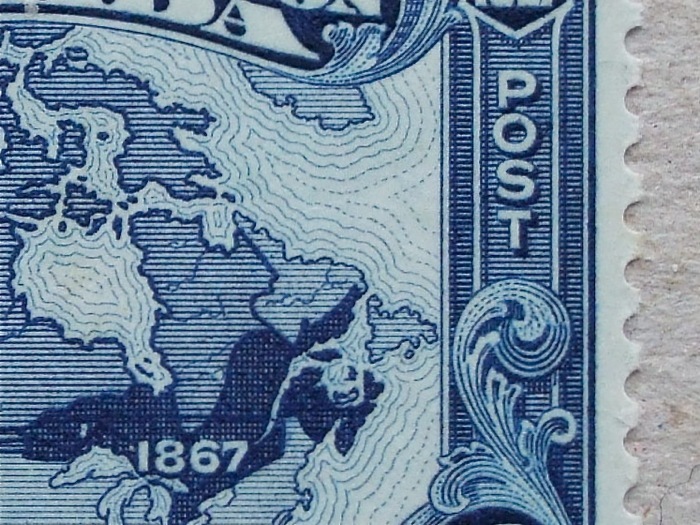 Both based on a definitive stamp design from 1906, and modified a little bit in 1933. 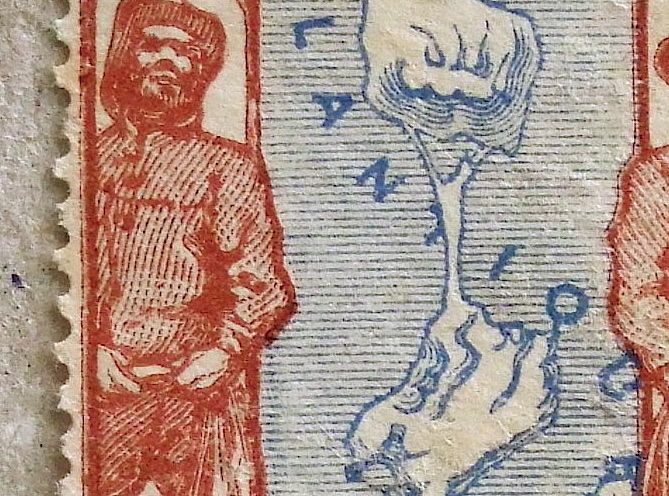 It is graphically stabled and very clear to carry charactor of the country, as well as liberal enough to limit expression of the royal Coat of arms – many reasons could be think of why the design of this stamp had survived this long. 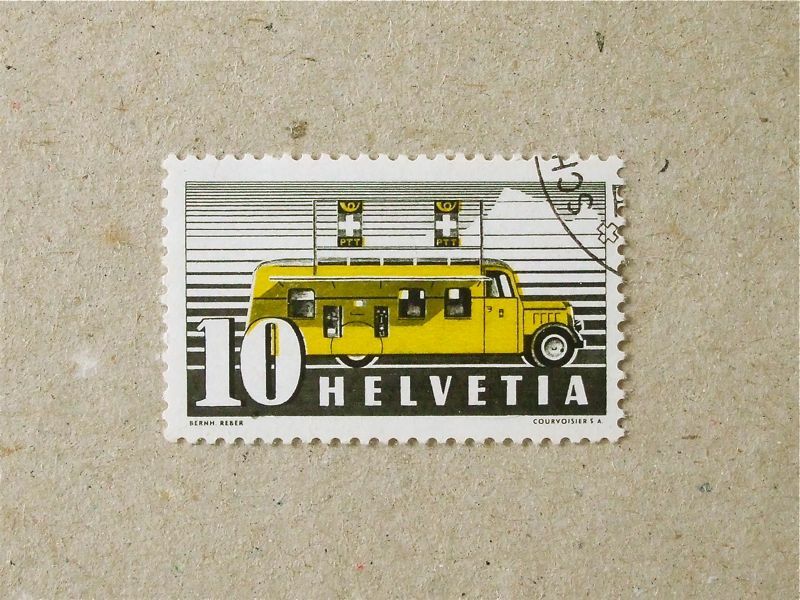 National bus service in Switzerland still carry Yellow horn, mark of postal service, as they were born from the vehicles which were carrying post. Just before the World War, it is impressive that Switzerland produced this high quality stamp, if you compare stamps from other countries. Off centred, but beautifully curved Intaglio stamp. 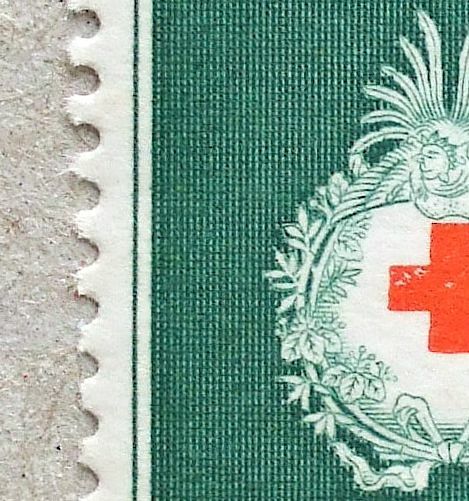 The red cross is in different process of typography, a bit mottled ink shows primitive but tasteful contrast to the rest. I was amazed by magnified view – very fine engraving. It seems they took long time to complete one plate, but not very careful when print stamps.